The Project Assurance role is about monitoring all aspects of the project’s performance and products independently of the Project Manager. Project Support is the responsibility of the Project Manager and defaults to the Project Manager to do if it isn’t allocated to a separate person. 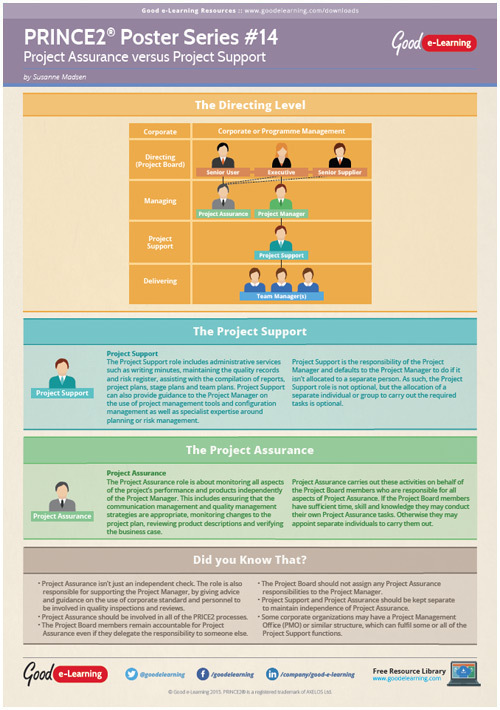 In this poster we examine the two distinct roles of Project Assurance and Project Support within a PRINCE2 project.